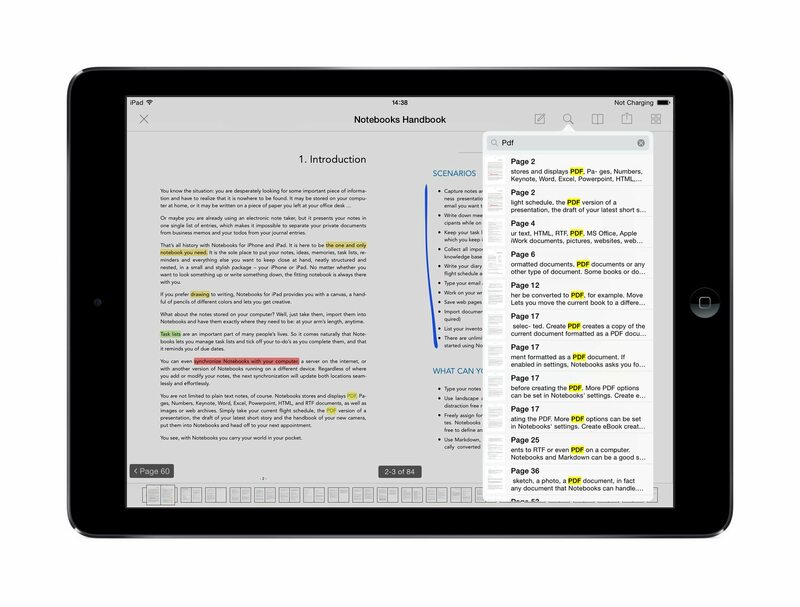 Notebooks includes an optional full featured PDF Reader which supports annotations, full text search, bookmarks, table of contents, thumbnail view, eBook like swipe options and more. 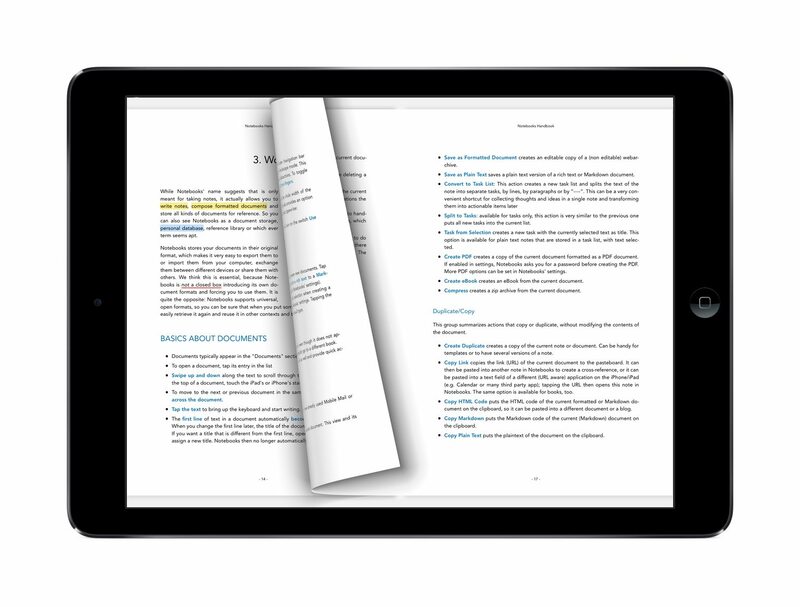 When you open a PDF document, it looks very much as before, is vertically scrollable and displays Notebooks’ standard toolbar. 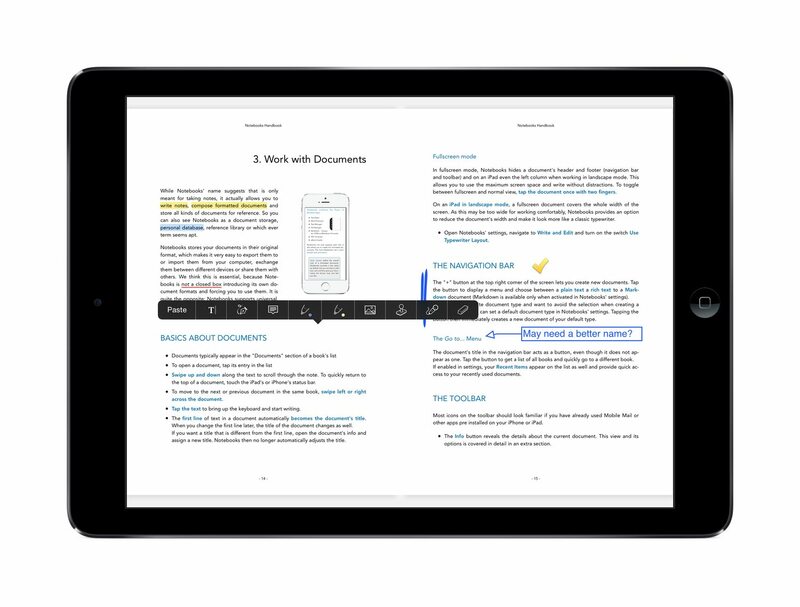 The PDF reader is already active, though, and you can select phrases and make annotate, delete annotations, search the document and more. When you tap the document once, Notebooks switches to the full screen PDF view. Browse through the document by swiping left or right to turn pages. This provides a very natural feeling when reading longer PDF documents or books. Zoom in and out with the pinch and zoom gesture, or by double tapping a phrase. 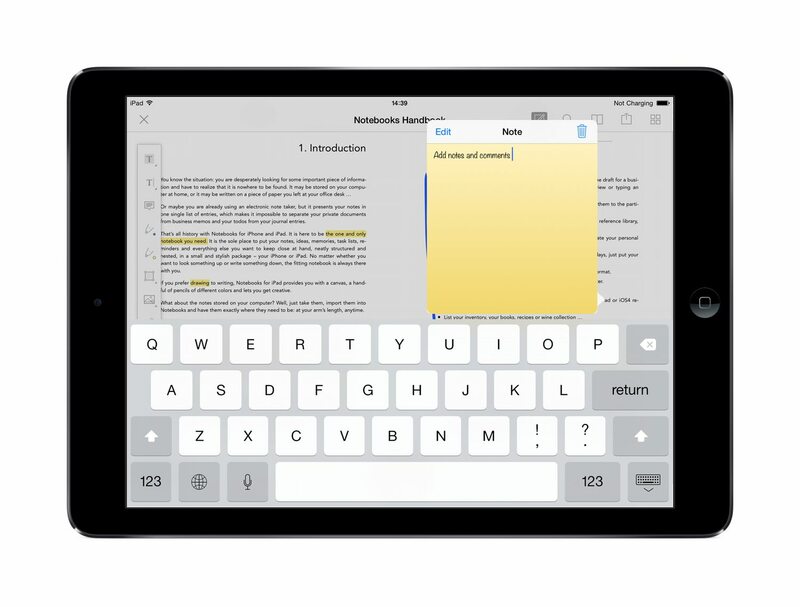 At any time, select a phrase to annotate; select the type of annotation from the popup menu. From the toolbar, set bookmarks, switch to a thumbnail view, search the document or activate a movable palette with a whole set of annotation options. For extended editing or annotation, activate the movable palette and have all tools readily available. When the palette is visible, use two fingers to swipe between pages. Annotations are stored inside the document (provided is it not write protected), which ensures that they are synchronized to your other devices running Notebooks. The PDF Reader is offered as an in-app purchase and can be activated via Notebooks’ settings.